The herding instinct is strong in many Shelties. They love to chase and herd things, including squirrels, ducks, children, and if an owner is not watchful, cars. Shelties love to run in wide-open areas. They do well with a sensitive, attentive owner. 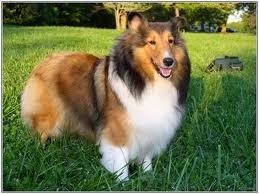 Neglecting a Sheltie's need for exercise and intellectual stimulation can result in undesirable behaviors, including excessive barking, phobias, and nervousness. Fortunately, the reverse is also true; annoying behaviors can be lessened greatly by an hour of exercise that engages the dog with its owner. Their intelligence level is extremely high and they rank number 6th out of the 132 breeds tested so far.